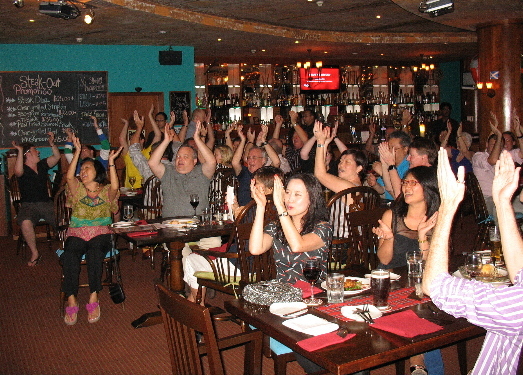 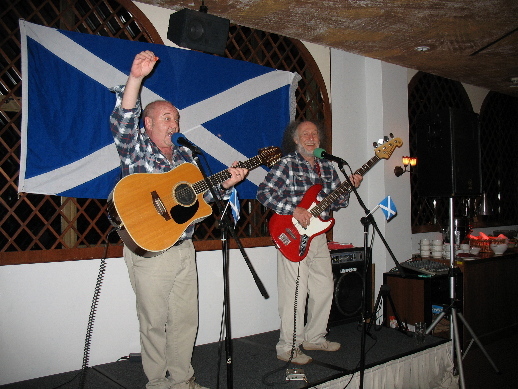 January 2012 and it is Burns Supper Season again and the festival of Ram-A-Dram is upon us. 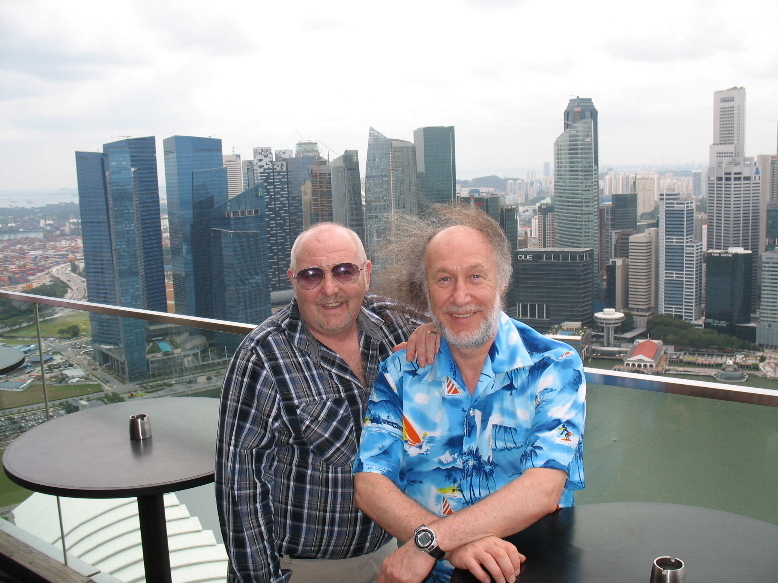 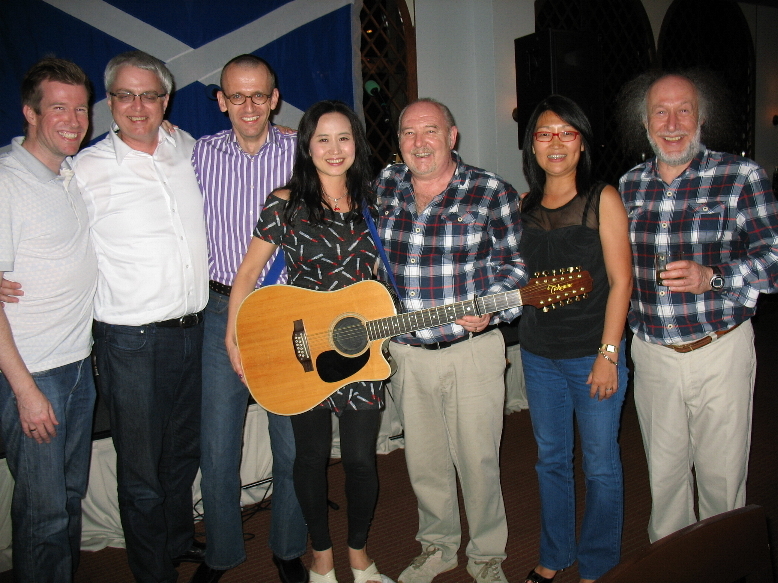 We were delighted to take our madness and mayhem out to Singapore again for another tour for the Singapore St Andrews Society and the British Club of Singapore and play our traditional repertoire of Scottish and Irish sing-along songs with a few 'Burns' songs thrown in for good measure. 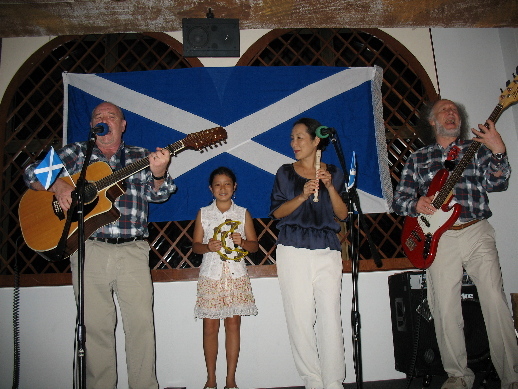 In fact, it was surprising just how many Burns songs that we didn't know we knew we were able to come up with at some of the 'impromptu sessions' we played at. 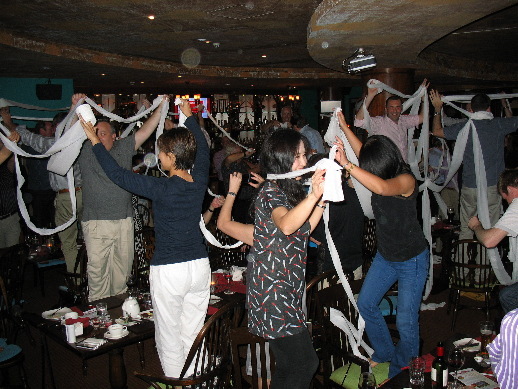 Could possibly have been something to do with that 'Famous Grouse' effect! 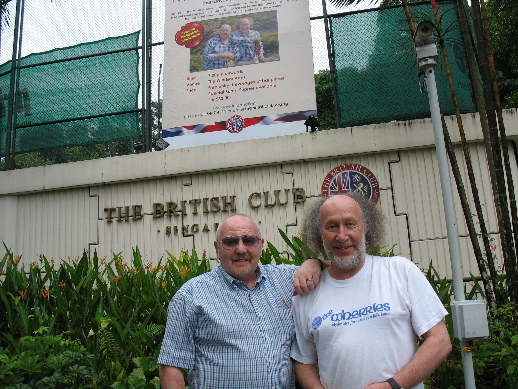 Our grateful thanks to Chieftain Jim Paisley and Vice Chieftain Patricia Forrester for making us welcome at the Tanglin Club and to Sean Boyle of the British Club for his kind hospitality. 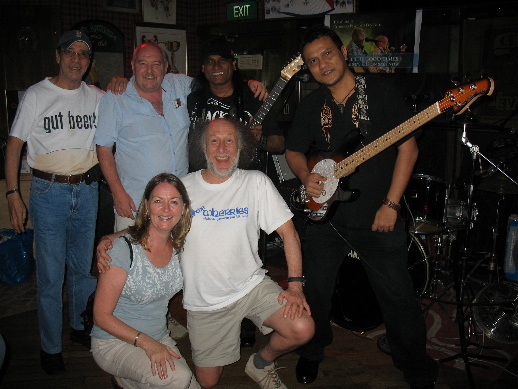 Also our special thanks to Sharon Martin of the Sportsman for her good company and friendship. 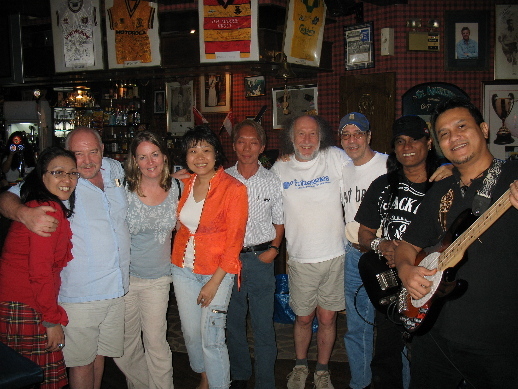 We were very appreciative of the hospitality extended to us by Gina De-Rozario-Das and her man Billy and all the staff at the 'Sportsman' on the occasion of our numerous visits there, where they kept our vocal chords well lubricated at every turn. 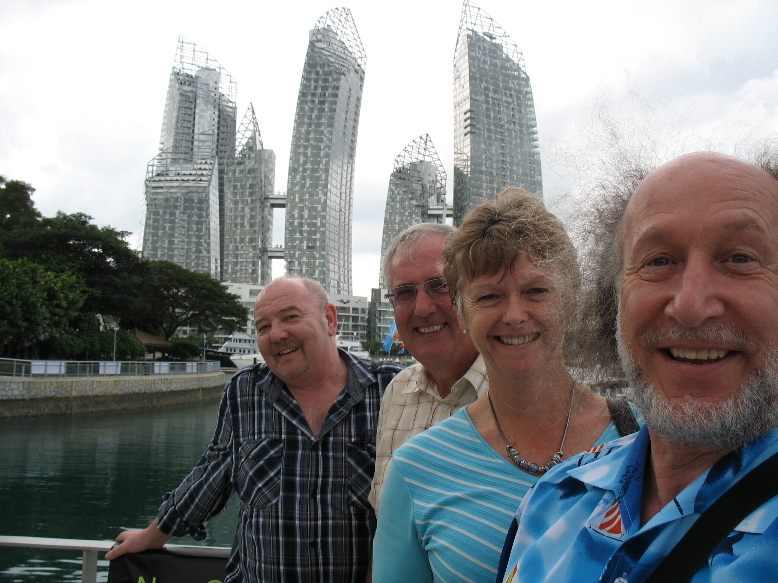 We would like to give our extra-special thanks to Mary and Rob Kozma for putting up with us and for their kindness above and beyond any call of duty all through our 10-day stay in Singapore.